I loved building with Legos when I was a kid. (If I could make a living at it I’d probably still spend most of my time playing with Legos) My experience, however, was different from most. Instead of pre-designed kits, every year at Christmas my parents gave me a bag of miscellaneous Lego parts. (They had a hookup at the local Lego factory where they could buy Lego rejects cheap.) I never had instructions to follow or a picture to guide me; my only blueprint was my imagination. From the same bag of spare parts I built airplanes and spaceships and the Empire State Building. Many battles for New York were fought in my bedroom long before the Avengers arrived on the movie screen. While my creations weren’t that ascetically pleasing, there was incredible freedom for creativity because I didn’t have a template to follow. Legos are a different experience now. Every box is designed to build a specific model. If you want an airplane you buy an airplane model, if you want to build the London Bridge you buy the $239 kit. Everything is pre-packaged and comes with full-color, step-by-step instructions. It’s all been figured out ahead of time and all you have to do is follow the instructions exactly and you’ll get exactly what is on the cover of the box. 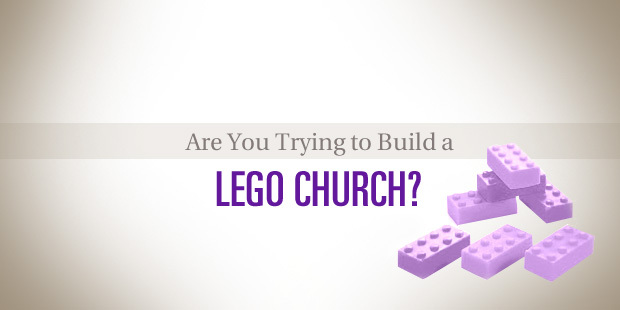 I’m concerned that church planting, and church leadership in general, is going down the trail of Legos. Rather than an individual vision of what God has called us to do in a particular place at a particular time using the gifts and leaders he has given us, we find the church kit that we like the best. There’s the Elevation Kit, the NewSpring Kit and the Mars Hill Kit as well as the Saddleback and Willow Creek kits. 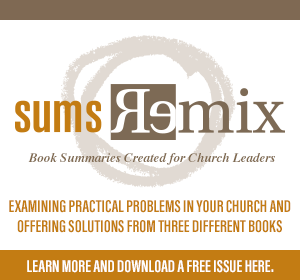 Some leaders see the New Testament Church as the ultimate church building kit. If we can follow the instructions precisely then we can build an exact replica of the church Paul built to reach Greeks in the 1st century. Learning from other churches and other leaders is important, but replicating models is boring in Lego world and ineffective in church world. Each church model is created for a certain time and a certain place utilizing the specific gifts and imaginations of specific leaders. Even the apostle Paul gave us principles to follow rather than a model to re-create. Unless you have a lot of 1st century Greeks in your community, replicating the church at Ephesus might be challenging. As church planters, pastors and leaders God gives us a bag of Legos with which to build His church rather than a model and a blueprint. 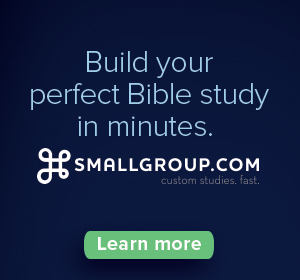 He gives us principles and parameters, but he expects us to use our gifts, leadership and imagination to build a unique church to impact the unique culture and unique time in which we live. Building without a blueprint is messy and challenging, and there’s no guarantee that what you build will look anything like you thought it would when you started. But it is a lot more fun than just following the instructions.